Q: Who is Franklin Leonard? A: Franklin is the founder of The Black List. Q: What has Franklin done? A: Franklin started as an assistant at CAA and went on to become an exec at Universal, Goldwyn, Mirage and Appian Way. He was Vice-President of Creative Affairs at Will Smith’s Overbrook Entertainment and is a graduate of Harvard University. Q: Where can I find Franklin? A: Franklin is Twitter friendly. You can also visit The Black List at BlckLst.com. 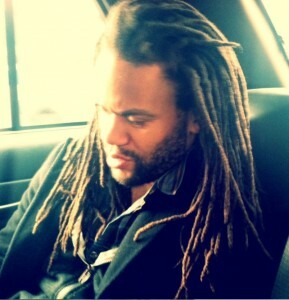 Twenty things you (probably) didn’t know about The Black List founder, Franklin Leonard. Franklin Leonard explains why he created The Black List, writers campaigning for scores, how readers are hired and what their qualifications are, why studios and production companies don’t tend to accept unsolicited screenplays and much more.